Not a raspberry. Be careful what you pick from the branches!! First of all Happy Canada Day! Here’s a little something for the red in our flag…(although it won’t be ready for a few weeks). 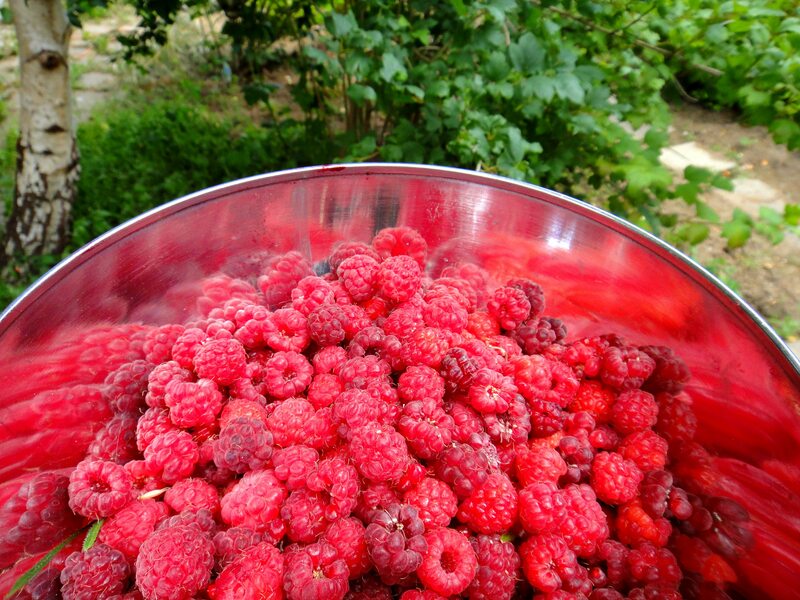 We have a huge thicket of raspberries in our yard and today I picked a bunch of them so they could be a part of my first infused vodka trial. When I lived in Lesotho, we would cross over to South Africa, to a small town called Ladybrand. Jon and Audrey introduced me to David and Lynn and their glorious life at Greenock. Greenock had horses, dogs, cats, pigs (that played fetch alongside the dogs), chickens, ducks… It’s beautiful there. We would often stay the night after a day of horseback riding and a huge meal that Lynn slaved away at in the kitchen all day. She also made her own fruit-infused alcohol beverages that I could never get enough of. 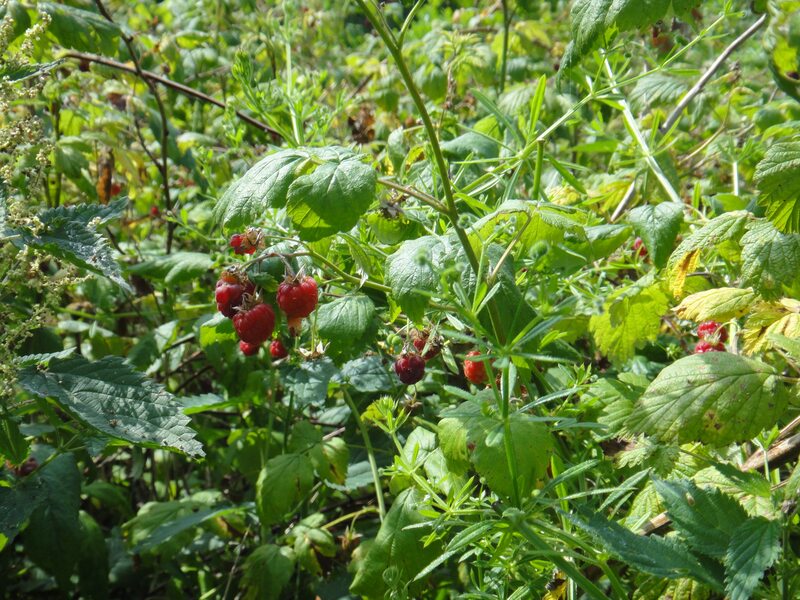 So, in memory of Miss Lynn, I gathered the raspberries today and started the process for myself. I’m really looking forward to sipping it in a few weeks. Cheers to David, Lynn, Jon, Audrey, Jacs and Bill!!! To all the fun we had in Ladybrand! 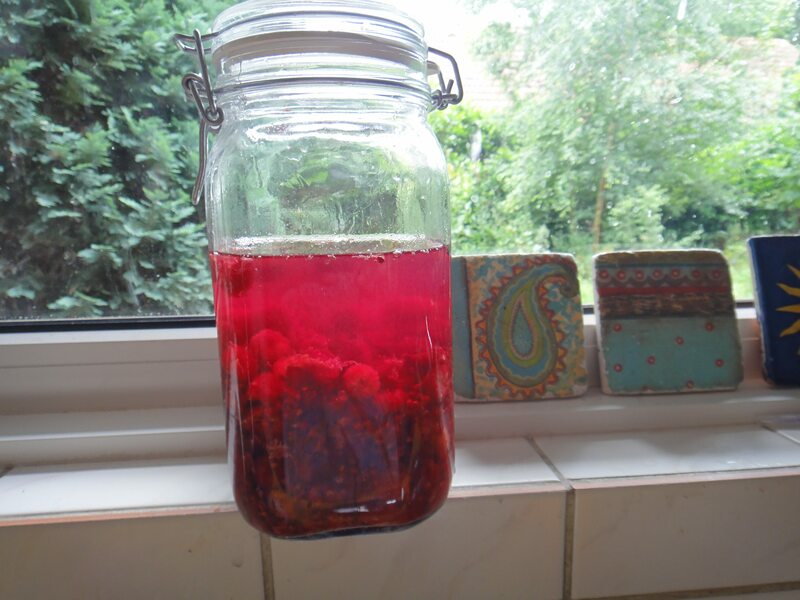 This entry was posted in Beverages, Food, home + garden and tagged beverage, Canada, celebration, cold, drink, friends, garden, Greenock, infused, infusion, raspberries, raspberry, South Africa, vodka on 1 July 2012 by peas. I love fresh flowers as tea. 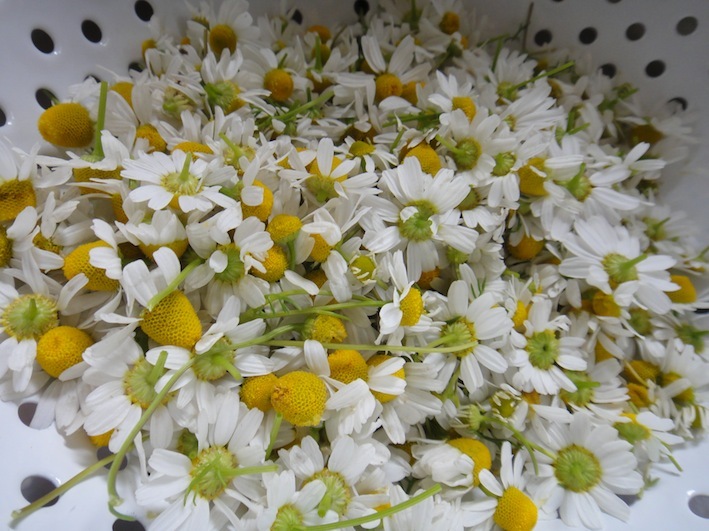 And chamomile is just about the best flower to use. 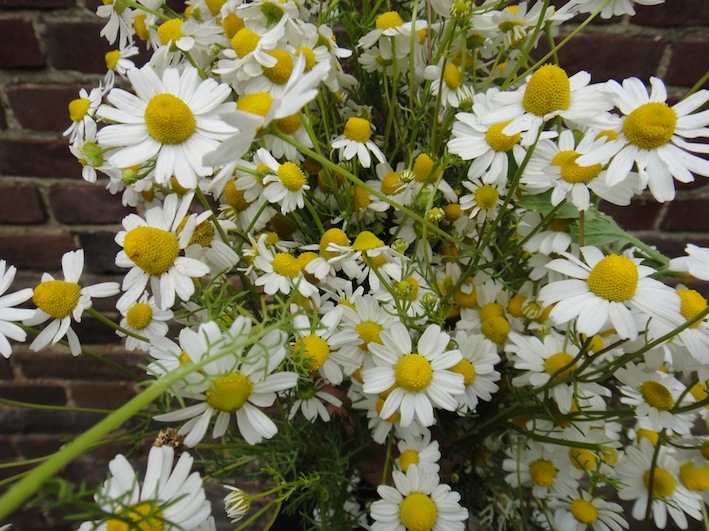 You can dry the flowers and store them in airtight jars or pop some in a glass —a nice, see-through glass shows off the tiny, white flowers and petit yellow buds floating in the water. Add hot water …just before the boil is best. You can strain the tea, use a tea basket or leave the flowers in the water and use a bombilla infusion straw to sip up the deliciousness. 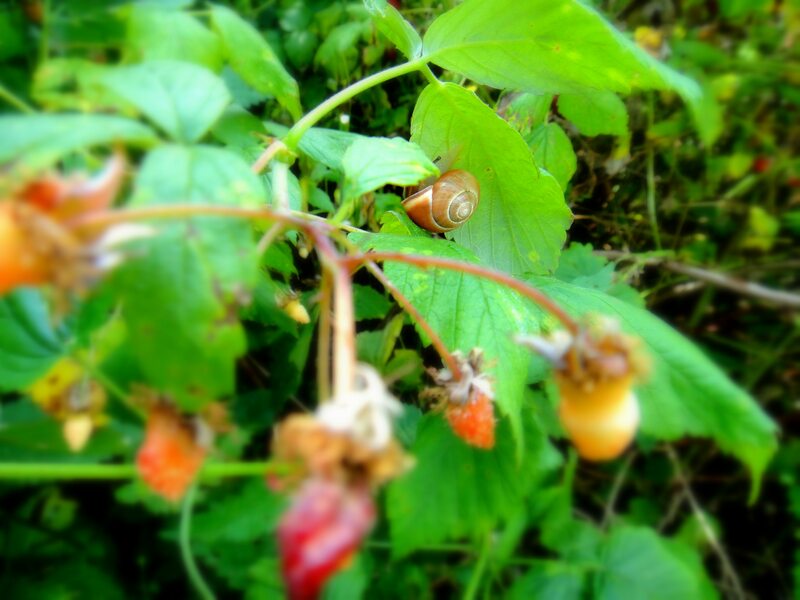 Camomille bunches coming in to the house. Camomille all washed up —soon this will be some nice relaxy tea. 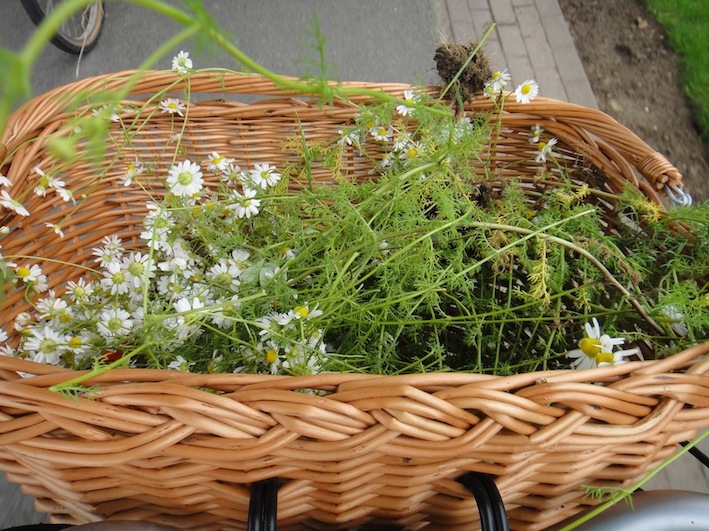 This entry was posted in Beverages, Food, home + garden and tagged beverage, bombilla, chamomile, flowers, garden, infuser, strainer, tea, tea basket on 20 June 2012 by peas.